The wafer check valve is less bulky than other types of check valves, being as it is made to fit between a set of flanges. Flanges are usually a plate or ring that forms a rim on a pipe, both internally and externally, and sometimes refers to the raised connecting piece of two pieces of pipe. Therefore, a wafer check valve that can fit easily between flange rims in large plumbing or piping systems is a very useful thing. A wafer check valve may be a swing-type, which uses a single hinged disk as its moving element, or a split disc type, which consists of a flat disc that is hinged in its center in order to collapse inward. This action allows fluid to move through and the valve to expand back into a flat disc shape to close. Many wafer valves are spring assisted, which means a spring check valve is combined with the wafer valve to ensure that no leakage occurs. Common wafer valve usage includes boiler feedlines, hot water circuits, vacuum breakers, steam traps, blowdown vessels and flash vessels. Flash vessels are those in which flash evaporation is taking place. This process involves the separation of vapor and liquid and is a key process for many industries, including oil refineries, air-conditioning and refrigeration companies and natural gas processing plants. A vacuum breaker is a type of wafer check valve that is specifically used when drinking water is involved, toilets and urinals in particular. Therefore the sanitary drainage system is included among the other industries that employ wafer check valves, as well as chemical and power plant companies. 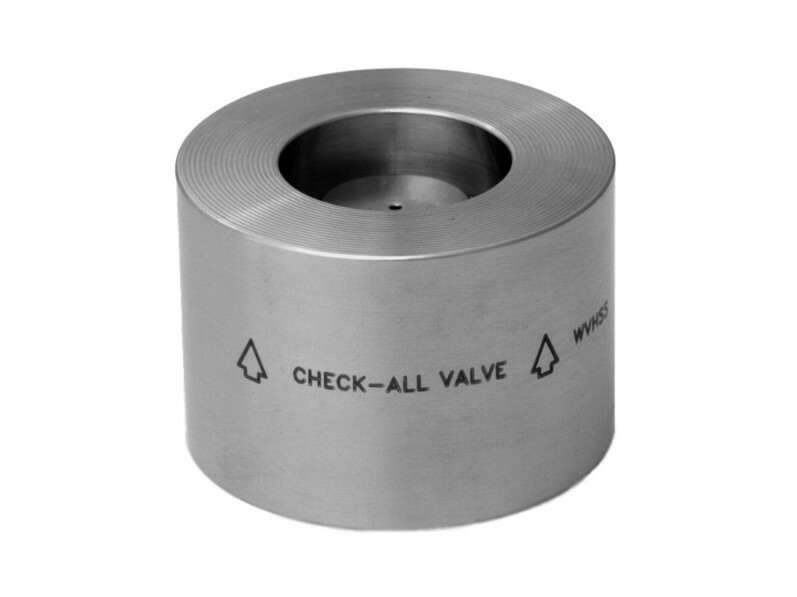 Like all other check valves, wafer check valves are popular because they can be as small or large as necessary for their specific applications, they are inexpensive and they are always simply designed. The fact that they usually do not require human contact after installation is one more reason wafer check valves, and all check valves, are widely used and highly praised in a multitude of industries. Wafer Check Valves A wafer check valve is a specific style of non return valve in the check valve family. 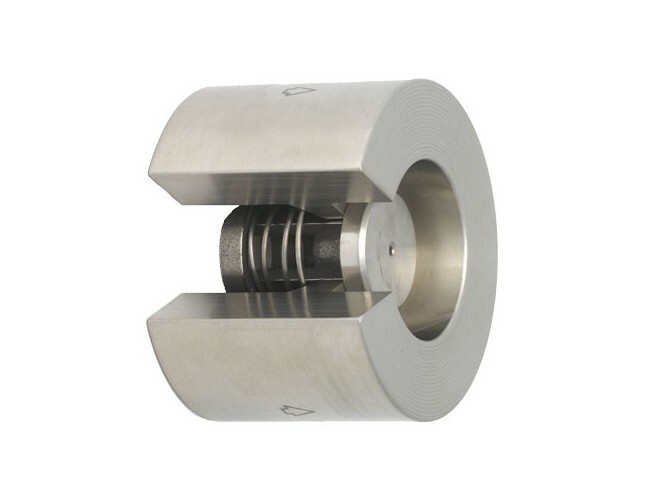 Like the other products in its group, the wafer check valve is employed in regulating the unidirectional flow of liquids, gas and solids without allowing any backflow of the process stream to contaminate the original source. An element of pressure release is also involved.